Radio maker Gareth Stack discusses his latest project, The Wall in the Mind, a serialised drama airing on Newstalk 106-108fm, beginning on Saturday April 16. The Wall in the Mind was performed ‘as live’, and recorded in process. How do your techniques differ from standard approaches to making radio drama? With The Wall In the Mind we had this melodramatic narrative spanning a quarter century, rooted in both personal tragedy and national conflict. I flew to Germany, both to research and to capture ambient sound at some of the locations featured in the programme, including the Volkspolizei-Bereitschaft (East German riot police) barracks at Mörderberg and the old listening post at Teufelsberg (where you can get a semi-official tour from a ex-CIA spook who used to work there). I wanted to have performances on par with film or theatre, so we had a pretty involved casting process to find our lead (Jasmin Gleeson and Mia Gallagher play the same character at 17 and 42) and a whole bunch of great German actors living in Ireland. Then a month of rehearsals, followed by ten days of location recording. To get the sounds we wanted we recorded all over the country, from Martinstown House on the Curragh to an abandoned farm in Cavan, to A4 Sounds art studios in Drumcondra. The sound engineer (Colm Coyne) and I also did a little urban exploration; collecting foley in an enormous abandoned factory in Howth nicknamed the concrete cathedral. Many people will associate East Germany with various forms of clandestine recording and aural surveillance. Did this feed in to the aesthetic, or the technical production of the series? That feeling of paranoia, of constantly being subject to surveillance, always assuming someone was listening, was really important to capture. There’s also a theme of fractured subjectivity – the unreliable memories of the central character, which needed to be signified through sound. Much of the series is recorded with a giant blimb stereo microphone – the kind of thing you might see in a nature documentary. We also used binaural microphones quite a bit – these fit over the ears of the actors: Listening back your brain creates this incredible psychoacoustic effect where the sound seems three dimensional, situating us in the subjective perception of the character. Finally, many of the scenes occurring in the past are literally Stasi recordings, and this led to playing with analogue tape – running edited clips through an old cassette tape dubber, and mixing that in with sampled tape hiss to create a distorted metallic sound you can’t really replicate with effects. So all along there are these unconscious cues for the listener, to subtly indicate whether we’re hearing a memory, recording, or the present moment. This fed into the aesthetic too, we ultimately ended up mixing in other forms of analogue interference and distortion – to elicit discomfort and paranoia. The final piece of the puzzle was the music – which is a mix of Ewan Hennelly’s work as ZPG (Ewan gave us access to his whole back catalogue, his music has this marvellous organic lamenting quality), and actual DDR era East German punk music. It turns out you had this whole underground punk scene in the East, I think the state used it as a tool to demonstrate their tolerance. I reached out to some of the bands from back then, groups like Sandow and Die Anderen, and without exception they all replied same day and immediately agreed to let us use their music. Germans are seductively conscientious. There seems to be a particular 21st-century fascination with Stasi-era East Germany, the obvious examples being the films The Lives of Others, Goodbye Lenin!, and Barbara, as well as the ongoing Channel 4 series Deutschland 83. Why do you think people are attracted to stories set in this particular time and place? In Germany and Berlin specifically you have so many factors – a city divided in two, almost a social experiment with a direct expression of the cultural and economic impacts of warring political systems on display. Then too the nostalgia of those who grew up under that system, the German’s call it Ostalgie. Whatever its failings the DDR was a utopian state, and the simplistic appeal of that is undeniable. Moreover Berlin, with its central role in both European wars and its nexus as a flashpoint of cold war conflict has an almost occult power. East Germany under the stasi is one of those times and places superficially similar to our own, but different enough, strange and terrible enough, that it serves as a touchstone and comparator for modern Europe – especially in a post Snowdon / Assange / Manning world, where we know that some nebulous unseen big other are like the Stasi, always listening. Your story is different from those other examples in that it deals as much with Irish identity as German. Do you see any parallels between the cultures of Ireland and Germany, which are seldom, if ever, linked? Perhaps the unique parallel with Ireland is the illusion of modernity. I think both Ireland and present day Germany have this kind of national amnesia that allows us to erase the immediate past. Whether it be clerical abuse, Magdalene laundries, or simply the conformity that kept Ireland inward looking and suffocatingly homogenous; we’ve managed to scrub it all clean from our national identity. We’ve replaced history with a bizarro Reeling in the Years sepia fantasy. The Germans share this remarkable capacity for reinvention; Berlin is a testament to it – simultaneously unrecognisable from a quarter century ago, yet still dotted with the untouched ruins not only of the DDR, but even the Nazi era at places like Krampnitz. That’s part of our story; how the frozen moment our protagonist finds herself in is linked to the trauma of a nation that cannot begin to face its sins. 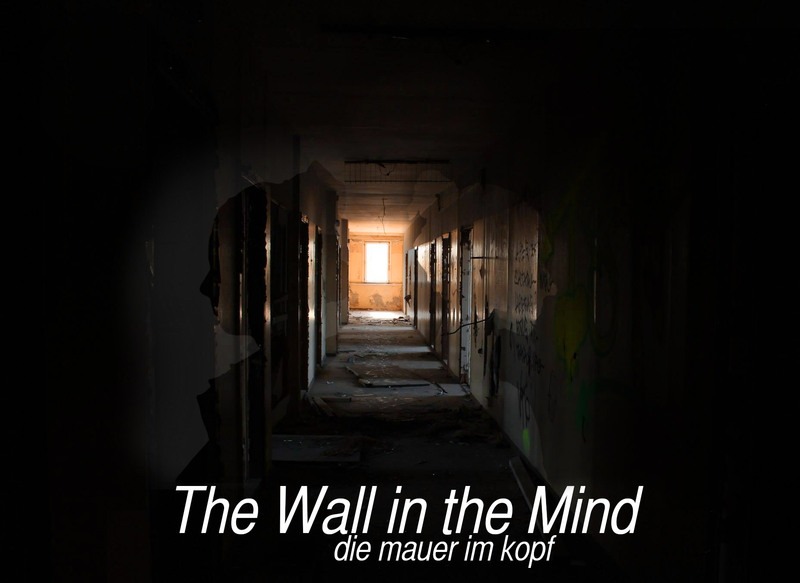 ‘The Wall in the Mind’ Series will be broadcast on Newstalk 106-108fm over three weeks. There are two episodes per week, starting with Episodes 1 & 2, this weekend on Saturday 16th April at 7am, repeated 10pm. Episodes 5 & 6 broadcast dates: Saturday 30th April at 7am, repeated 10pm.